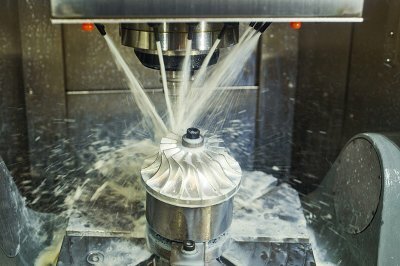 Having the right coolant in any machining process can have a huge impact	on the finished product. At EnviroServe Chemicals, our	EnviroCool™ and	EnviroCut™ lines of metalworking fluids are specifically formulated to help keep	the workpiece cool, lubricated, and resistant to corrosion during the	machining process. Our coolants and cutting fluids are also resistant	to bacterial growth and are operator safe. Whether you utilize a custom machine shop, or a high volume production	machining facility, EnviroServe has the coolant to fit your operation. We have an experienced, helpful, and knowledgeable technical support staff	that can provide you with the information and chemicals you need. Call us today at (910) 892-1791 to learn more.